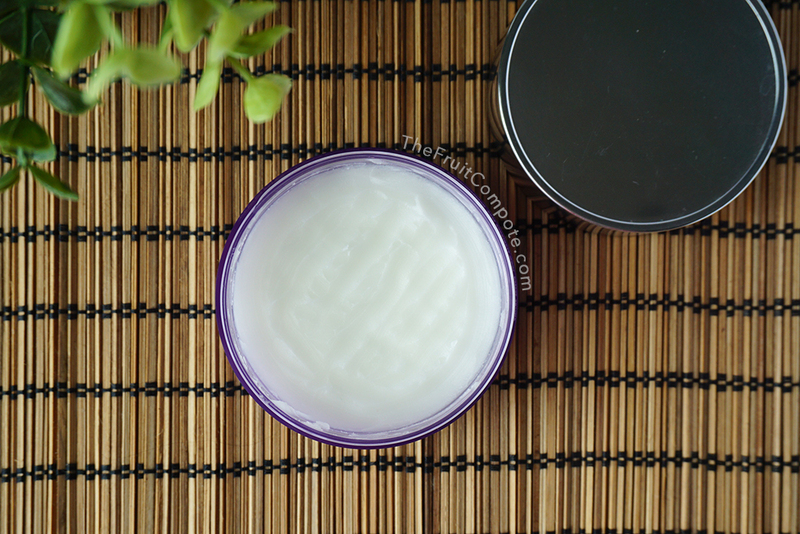 I entered the world of cleansing balm with Diptyque. CLINIQUE’s is my second foray and I can see why it’s quite the cult favorite. First off, it’s housed in a tub with a silver cap. The lavender acrylic is synonymous with its other sisters from the Take The Day Off line. This is as simple as it gets. No fancy schmancy design, unless you think the silver cap is too much. I wish there’s a spatula though, but it’s not a deal breaker. I have plenty of them lying around. What’s inside is plain Jane, solid white balm. It has no fragrance. Nada, whatsoever. Which makes it awkward to be honest, because my brain expects to receive some kind of scent. Floral, fruity, herbal, come on, anything that awaken the senses – my brain says. There’s a faint scent, I couldn’t put my finger on it. It’s not artificial, for sure. It’s more like the combination of the ingredients inside. It doesn’t take a rocket science to realize I don’t need a lot for every use. Clearly, I did scoop out way too much on my first try but I learned my lesson quickly. A simple act of spreading the balm across the skin, will turn it into an oil. It just melts, that’s how I’d describe it. The oil becomes a fluid one once I started to massage the skin. Snap! Just like that. I can get into the nook and crannies of my face and remove what needs to be removed. As I massage my skin, I can see my eyebrow product is dissolving, created a brownish haze around the area, my lipstick is smearing (especially when I’m wearing red) like I’m The Joker, the late Heath Ledger version. I treat this like a regular cleansing oil, where I will add a little bit of water to emulsify and transform it into a milky consistency. 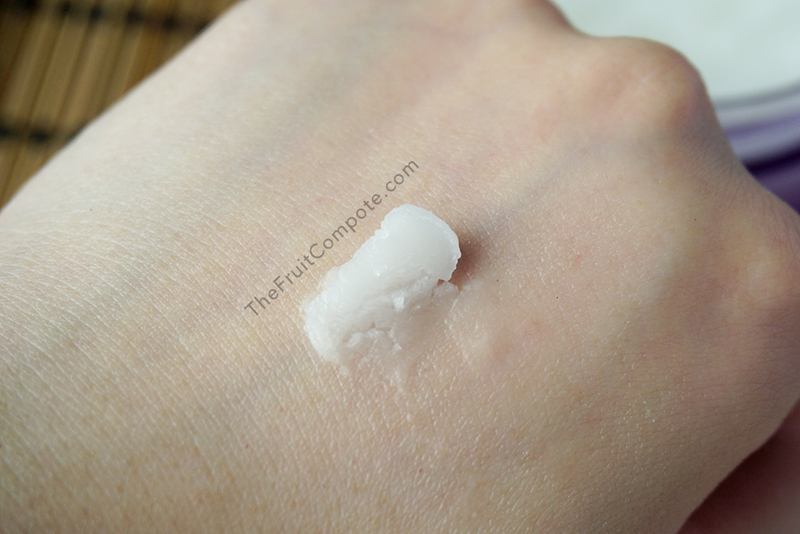 Massage it a little more to really dissolve and break down the sunscreen/makeup. By this time the white milky color has turned into a mixture of the colors of my complexion products, blush, lipstick, etc. Gross, but satisfying. Once I’m sure I have emulsified everything, I rinse everything off. Then I am left with a bare face; clean but not stripped. It is THAT EASY, no kidding. No residue. No face cloth needed – I avoid to use one anyway; that’s why there’s a second cleanser. The large tub of 125 ml will last me for a good while before repurchasing a new one. My only advice is to store it somewhere cool with no direct sunlight. There’s than one occasion where I saw the balm looked a little shinier and glistens due to the heat (during my Instagram photo ops). Some bits that got stuck to the side of the tub can melt too. So be aware of where you’re storing it. This applies to any other skincare for that matter, if you’re wondering. This product is supposedly available in Indonesia; I got mine overseas. I did ask the BAs in different counters and they said they carry it. Silly me, I didn’t inquire about the availability because the thought skipped my mind considering I still have a lot left. Turns out, many people have troubles locating one in stock. Hopefully, it will be replenished soon, and lots of it. 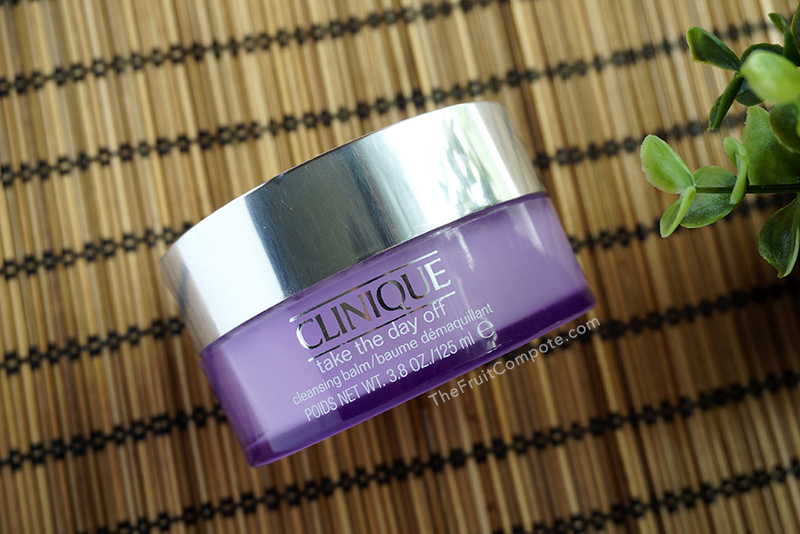 CLINIQUE Take The Day Off Cleansing Balm is through and through an awesome cleansing balm. It does the removal job beautifully and efficiently. No hassle, no fuss!